Former Special Assistant to the President (SAP) Bong Go earned the affection and support of Marikina City residents as he appealed to the Filipino people to patronize footwear made in the city as well as other locally-made products to promote local small businesses and industries. Go vouched for the excellent craftsmanship of Marikina shoemakers who produce top quality footwear in his message during the campaign rally of the senatorial candidates of the ruling party, Partido Demokratiko Pilipino-Lakas ng Bayan (PDP-Laban) at the Marikina Convention Center. “Maraming tumulong nung kampanya kay Pangulong Duterte, maraming nagpapawis para kay Pangulong Duterte pero pag pumasok sa corruption, sabi niya maghiwa-hiwalay tayo dahil interest ng bayan muna bago interest ng kaibigan,” Go said. He said the President literally kicked a corrupt government who was fired for involvement in corruption, with the shoes given to him as a gift by Marikina shoemaker Rolando “Tatay Orly” de Guzman Santos. Noting that Santos was among the audience, Go asked him to stand to be recognized. “Tatay Orly, yung sapatos na ibinigay mo yun ang ginamit niya at napatunayan ko Tatay Orly na napakatibay ng gawang Marikina. Kaya tangkilikin po natin ang gawang Marikina,” he said in jest. It would be recalled that the President first wore the pair of shoes from “Tatay Orly” in a meeting with then United States Secretary of State John Kerry in 2016. The President said that until now the pair of shoes remains in excellent condition. Marikina City earned its tag as the “Shoe Capital of the Philippines in the 1950’s but has faced difficulties at the onset of year 2000 when cheap exports flooded the country. However, the local shoe industry is now on the rebound with the help of both the local and national government. Under the direction of the President, the Department of Trade and Industry is leading efforts to revive and strengthen the country’s footwear industry. Go also appealed to the public to patronize other local products, saying it would not only help contribute to preserve the jobs of our fellow Filipinos but also help our economy grow more robust. “Katulad po ng mga sapatos na gawang Marikina, tangkilikin din natin ang ibang mga produktong gawa ng ating mga kababayan. Sa ganitong paraan po ay matutulungan natin ang marami nating mga kababayan na magkaroon ng trabaho at patuloy na lumago ang ating ekonomiya,” he said. 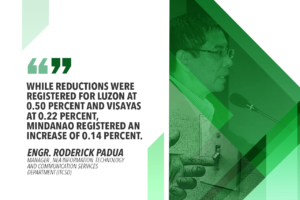 “Asahan po ninyo na susuportahan ko rin ang iba pang mga produktong gawa ng Pilipino,” Go added. As part of his legislative priorities, he seeks to champion the cause of micro, small and medium-scale enterprises (MSMEs) that would not only also benefit shoe factories and outlets in Marikina but many other Filipino businesses as well that belong to these categories. Go expressed his gratitude to the people of Marikina for their warm reception, recalling that they gave then Davao Mayor Duterte a similar welcome during the 2016 campaign. “Alam ni Pangulong Duterte at hindi namin malilimutan ang mainit na pangtanggap ninyo sa amin noong nakaraang eleksyon. Maraming salamat po,” he said. Go assured the people of Marikina that he would not waver in supporting President Duterte’s programs and policies, particularly the fight against criminality, corruption and illegal drugs. 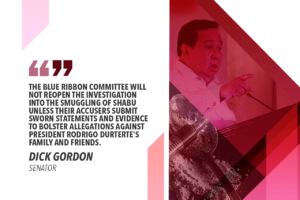 He noted that President Duterte had promised to intensify the three-cornered campaign during the last three years of his administration. “Susuportahan ko po ang paglaban natin sa tatlong iyon. Ginagawa natin ito para mabigyan ng maayos na kinabukasan ang ating mga anak,” Go said. 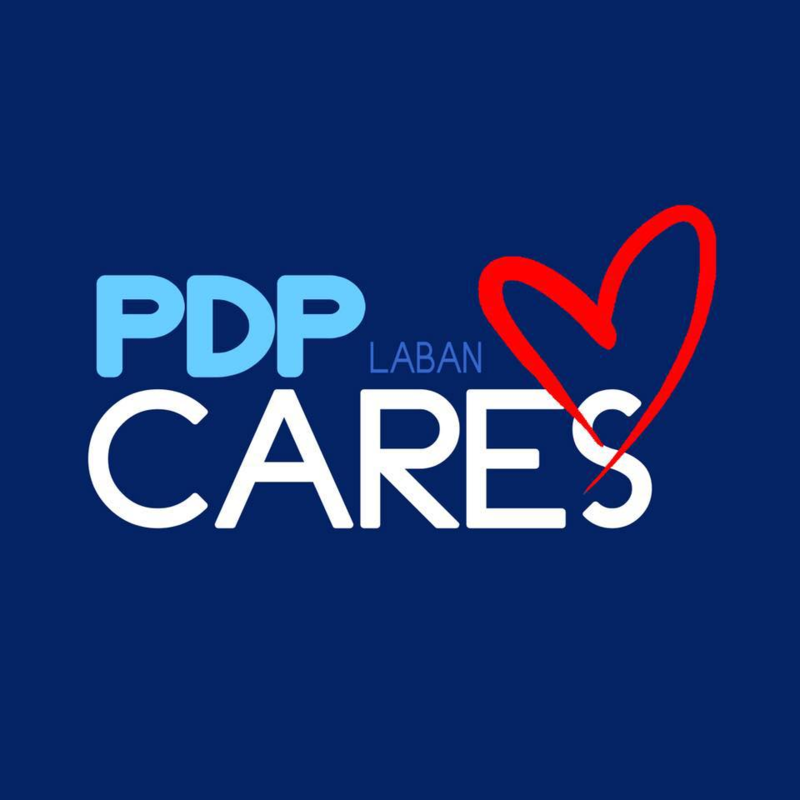 Explaining his legislative agenda, he said that among his top priorities include the effort to improve access to quality health care, particularly through the establishment of Malasakit Center. A program of the Duterte administration based on Go’s idea, the Malasakit Center makes it easier and faster for poor patients to avail of medical and financial assistance from the government by bringing together in one room all concerned government agencies such as the Department of Health, the Department of Social Welfare and Development, the Philippine Charity Sweepstakes Office, and Philhealth. “Pera nyo po ito, ibinabalik lang sa inyo. Meron din po itong express lane para sa mga senior citizens at disabled,” he explained. Go said he wants a law enacted to allow the establishment of Malasakit Center in more provinces and key urban centers of the country and ensure the program would continue even after the term of President Duterte. 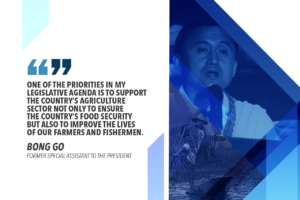 Other top priorities that he has included in his legislative agenda include programs for agriculture, education, housing, long-term sports development, localized peace talks, fire protection and prevention, creation of a Department of overseas Filipino workers and improved benefits for senior citizens.